Asus, the well-known tech brand announced its new flagship, the Zenfone 2 on January 7 this year. The company began shipping the second iteration of its Zenfone series just a week ago. The Asus Zenfone 2 comes with a new body design with metallic brush finish and sports a 5.5-inch Full HD IPS display, Intel Atom Quad-core 2.3 GHz processor, 2/4 GB RAM, 16/32/64GB internal storage and a microSD slot with 64GB support, 13MP rear and 5MP front camera and 3000mAh battery. Under the powerful hood, the Zenfone 2 runs the highly customizable Asus ZenUI over Android 5.0 Lollipop. As it happens after any new smartphone release, the Zenfone 2’s media files have made their way to a number of forums. 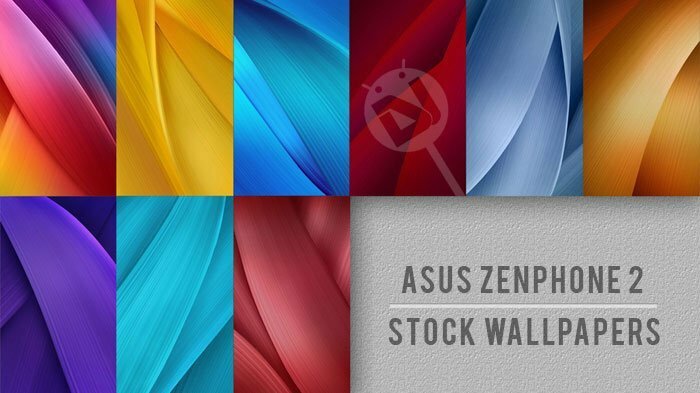 Today, we are going to share the complete set of stock wallpapers from the Asus Zenfone 2. The devices come preloaded with 9 high-quality beautiful-looking portrait wallpapers. Since the Zenfone 2 has a full HD display, the wallpapers are in 1080 x 1920 pixel resolution. If you love customizing your smartphone with stunning wallpapers and widgets, you’ll like the Zenfone 2 Stock wallpapers for sure. Just download all the wallpapers shown in the preview image above in a single zip by clicking our link below. Having downloaded them, you’ll have to unzip the file and copy the wallpapers on your device. At DroidViews, we have a huge collection of stock wallpapers from hundreds of devices. If you wish to download them, just head over to our Wallpapers Section and check them out. If you want us to feature stock wallpapers from any Android device, please let us know via comments below. Enjoy!